Regional Tourist Information Center Carpathian, Ivano-Frankivsk - "Carpathian tram"
Contact person - Lubomyr Jackiv. Opened in 1860 the narrow-gauge railway line connected Boykivschina regionwith the timber metropolis of Austria-Hungary. The narrow-gauge railwaysystem became indispensable in the timber preparation, processing and marketing. It was developed in the picturesque Gorgany Mountains, witnessing the greatness of the Austro-Hungarian Empire, the war peripetia and guerrilla adventures, soaking up the flavour of the local people's life and the sweat of logger's hard work. Reaching the largest in long, flourishing in the Soviet times, it gradually began to decline to the end of the last century,suffering from the nature and man. 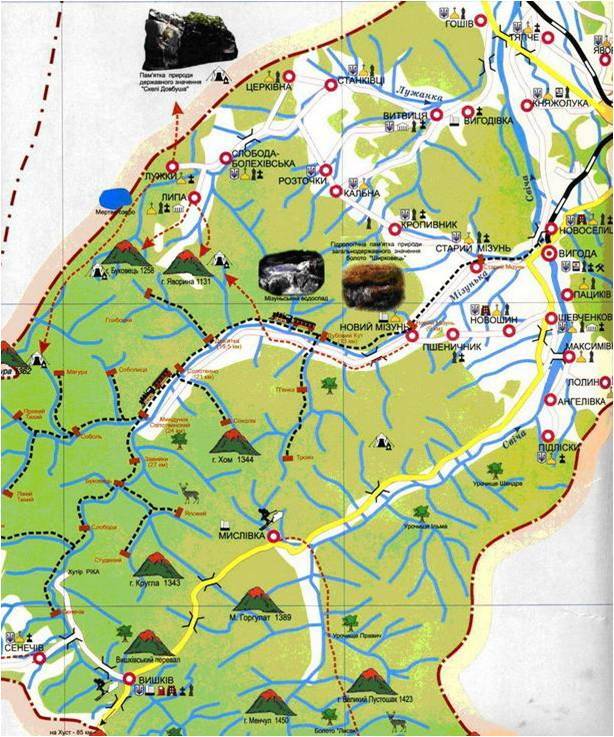 The tourist route "Carpathian tram" is now created on the single fully restored Mizun branch, which was primarily industrial narrow gauge railway. 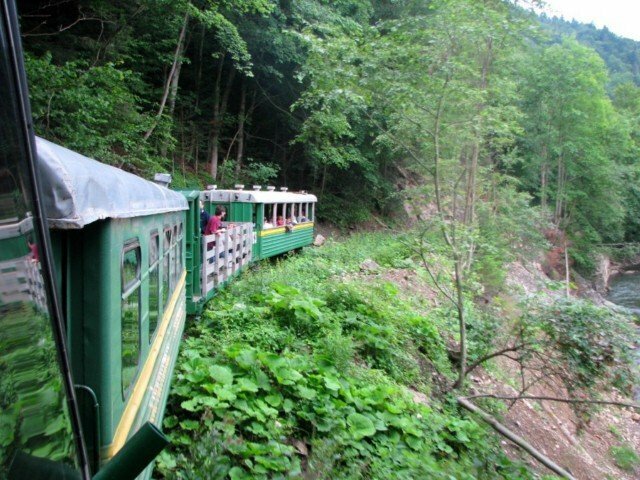 The “Carpathian tram” is a single in Ukraine guided tour on the narrow-gauge railway line, which goes along the river Mizunka in the picturesque Carpathian foot-hills. The width of the gauge is 760 mm, which is almost a half of the traditional European. 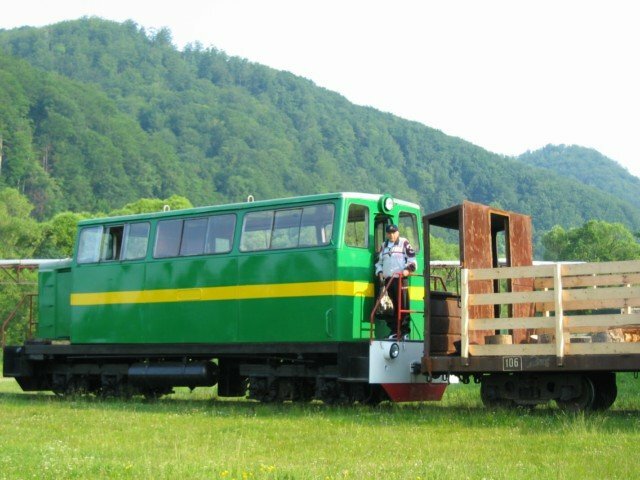 The train includes a locomotive, which has 12 seats for tourists, where you can watch the work of the driver, and two coaches to suit different tastes: closed coach with comfortable seats, coach-convertible, as well as an open platform for joyful recreation and hunting with a camera.